getcalc.com's $200000 Mortgage Payment Calculator - What is monthly payment for $200000 mortgage over 5 years? Estimate your monthly payment, total repayment, total interest for fixed interest rates 2.5%, 2.75%, 3%, 3.125%, 3.25%, 3.375%, 3.5%, 3.625%, 3.75%, 3.875%, 4%, 4.25%, 4.5%, 4.75%, 5%, 5.5%, 6%, 6.5%, 7%, 7.5% by using below table or calculator. This mortgage calculator supports other currencies such as EUR, GBP, CAD, JPY, SGD, CNY, KWD, CHF, RUB, SEK, THB, IDR, INR, SAR and so on to enable users to verify the mortgage calculation in their native currency. 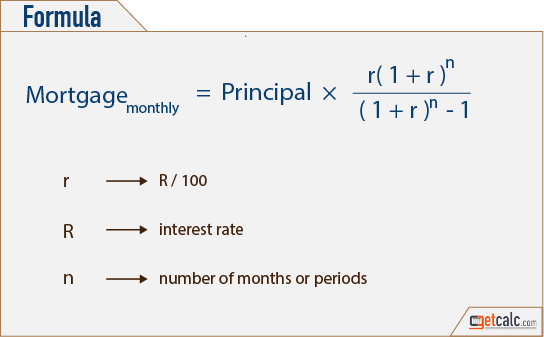 Mortgage is a finance function or method used in the context of time value of money calculation, represents a legal agreement between lender and borrower, where the money lent at certain interest rate in exchange for taking the title of borrower’s property as a security of a loan, until the end of tenure or the loan is completely paid off. It’s a fixed amount of payment for every month but the partial principal and interest amount within the monthly repayments towards the loan gets increased and decreased respectively over the period of time. what is the monthly payment for $200000 over 6 years? what is the monthly payment for $200000 over 7 years?